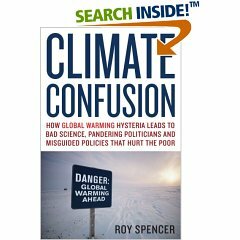 As usual, the AP is in the tank for global warming scare-mongering, and continues its policy of see no skeptics, hear no skeptics, speak no skeptics. It’s as if they walk around with their eyes covered, ears plugged, and duct tape to slap on the mouth of anyone who says anything they can’t stand to hear. During the European heat wave of 2003 that killed tens of thousands, the temperature in parts of France hit 104 degrees. Nearly 15,000 people died in that country alone. During the Chicago heat wave of 1995, the mercury spiked at 106 and about 600 people died. Sterl’s computer model shows that by the end of the century, high temperatures for once-in-a-generation heat waves will rise twice as fast as everyday average temperatures. Chicago, for example, would reach 115 degrees in such an event by 2100. Paris heat waves could near 109 with Lyon coming closer to 114. A PDF of this report is also available at the link. Just click the report cover above and there is a link for the PDF form of the report, or you can just read it at the site. Gore’s claim that global warming spreads mosquito-borne diseases. 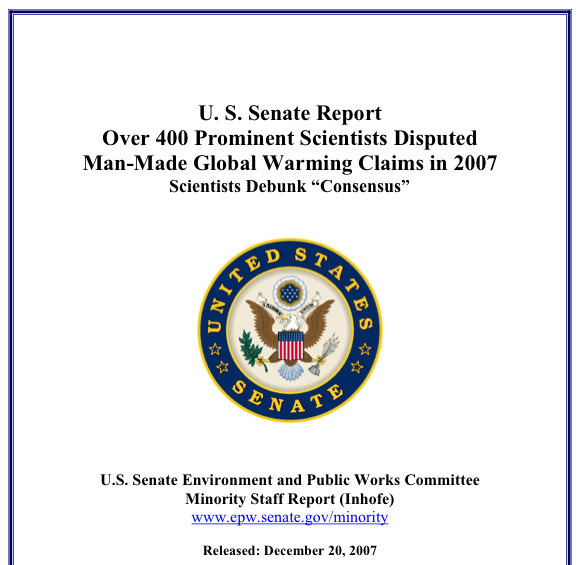 studies” used for global warming forecasts. expert on the ancient ice cores used in climate research–says the U.N.
among the first to sound the alarm on the dangers of global warming. attributed by the UN to man-made CO2. 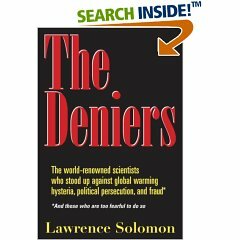 Just a short list from the Amazon website for “The Deniers”. If you’re a true believer in anthropogenic global warming, aren’t you just a LITTLE BIT CURIOUS (?!?!?) about why these very prominent, world class scientists don’t buy it? If you aren’t, you’re likely a victim of group-think.